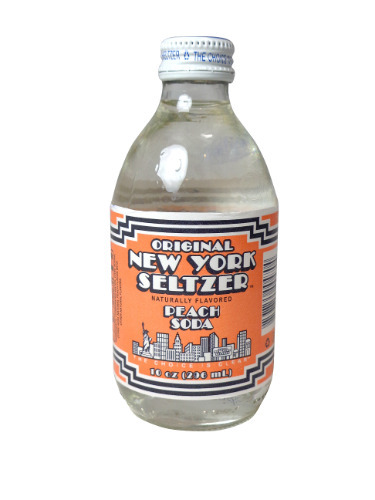 FRESH 10oz glass bottles of New York Seltzer Peach soda with CANE SUGAR!! Genuine Article. This is the original ONYS ® Peach you remember. Get that peachy keen, fuzzy feeling all over again. Ripe & juicy peach flavor you can feel and the perfect amount of sparkle. Just peachy. Clean & clear with nothing artificial.